Have you gotten into the holiday spirit yet? To help us all get a little smile on our faces, the Swedish Cottage Marionette Theater is holding its annual The Three Bears holiday Bash performance that’ll bring that warm feeling and holiday cheer to us all, regardless of which holiday we celebrate. The Three Bears Holiday Bash is a variety show that includes other holidays and happily gets everyone into the holiday spirit. The show features adorable marionettes and includes holiday favorites such as “The night before Christmas”, “Twelve days of Christmas” (in the form of audience sing-along) and a piece from the Nutcracker Suite. There’s also a cute little video explaining Hanukkah, complete with the dreidel song and a little skit about Kwanzaa with African music was playing in the background. A marionette Santa Clause makes an appearance, to the delight of all the kids! My kids (including my two-year-old) had a blast watching the show! It was a lot of fun to celebrate the spirit of the holidays through all of our favorite holiday songs and they thought the marionettes were really cute! At the end of the show the puppeteers came from behind the stage and one of them showed the kids how to manipulate a marionette, which was really cool. The show is suitable for kids ages 3-9 and is about 45 minutes long. My two-year-old was able to sit still through the show because it is mostly fun, happy songs and lots of bright colors on stage. Tip: arrive early to get a seat upfront, as the theater tends to fill up quickly. 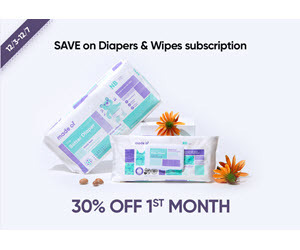 When: Through December 30th, 2014. 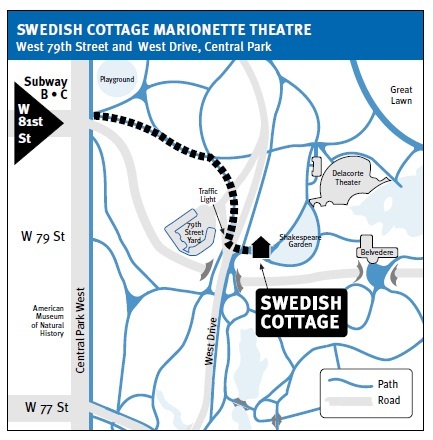 Where: The Swedish Cottage Marionette Theater is located at Central Park, just south of the Delacorte Theater. Click here for directions and here for a map. Price: $10 per adult; $7 per child. Reservations are required. Click here to order tickets.